With its magnificent buildings and diverse history, the city of Palermo is not just one of the finest destinations in Sicily, but the whole of Italy. It really has something for everyone and is a destination where a combination of culture and great deals keeps people passing though its sea terminal year after year. Cruise ships dock right in the heart of the city at La Stazione Marittima Passeggeri, located on Via Del Mare. Booking a few days in one of Palermo’s fine hotels is a great way to make your cruise even more special. 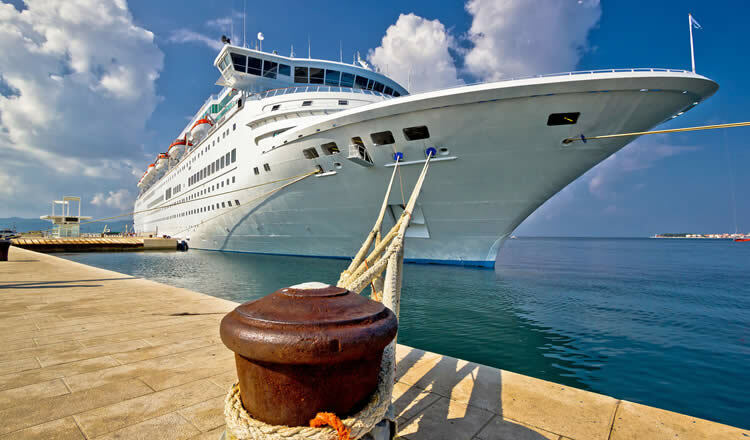 Many people like to stretch their land legs by leaving their cruise liner and exploring a destination in full. Reserve a hotel during or after your cruise is a great way of doing this. Hotels also provide a change of scenery if you just want to enjoy the sun by lazing around the pool. There are many hotels around or close to the port terminal, find the one that is perfect for you. Many have scenic views over one of the most picturesque coastlines in Sicily, while others are more central and boast views over Palermo’s historic streets. When leaving the port terminal, you will enter the Borgo Vecchio district and that is where much of the city’s hotels are situated. Palermo has everything from low cost B&Bs to five star hotels and All Cruise Hotels is a place filled with deals, deals and more deals. Many hotels are also just a few minutes walk from the port’s terminal building. Budget friendly property within walking distance of shops and dining. 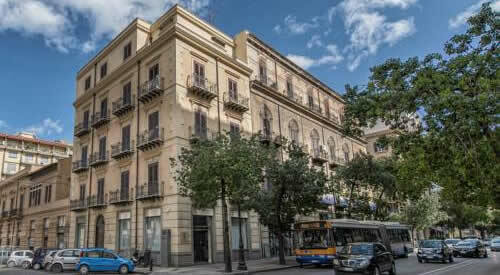 Very popular hotel with sea views, rooftop terrace overlooking the harbour of Palermo. Accommodation close to the harbour and the historical city centre. Large Cruise Vessels tie up close to the city center, within walking distance of many landmarks. There are plenty of taxis available at the terminal which can bring you to your hotel, or from your hotel to the port. The main cruiseline sailing from the port is MSC Cruises. Mediterranean voyages make several stops in fascinating cities like Valencia in Spain, Marseille France, Roma Italy and the Port of La Valletta in Malta. Several ferry companies operate from the harbour as well, connecting Sicily with Tunisia, Italy, Sardinia and the Aeolian Islands. Ferry operators include Grimaldi Lines, Grandi Navi Veloci and Ustica Lines. Its position in the centre of the Mediterranean has caused it to be invaded by everyone from the ancient Greeks to Saracen Arabs, giving it a unique culture that attracts cruise liners from around the world. Despite its appeal, it is a far less commercialised city than many other tourist destinations in Italy, allowing it to retain an original and rustic charm. Palermo is place for the thinking traveller and is home to many stunning pieces of ancient architecture, including its 12th century cathedral and the beautiful Fontana Pretoria fountain, which dates back to 1554. Within minutes of leaving the port terminal, you will be struck by the the faded grandeur of Sicily. Eating out in also a joy as this region of Sicily has some fine restaurants and cafes, offering dishes synonymous with Italy as well as others that you will not find in other parts of the country. Whether you have an appetite for pasta, fresh seafood or something which highlights the island’s Arabic, Spanish and French influences, you sure to find an eatery that serves food which is as memorable as it is delicious. You may find things a little overwhelming when you arrive at Palermo port, though. It is a hive of activity outside the terminal with scooters zipping around and many taxis picking up and dropping off. Within a few streets, however, you will gain a taste of what this great part of Italy is all about. Those of you who like nothing more than catching a few rays on a golden beach will be drawn to the Mondello region around half an hour to the north of the port. The area boasts powdery sands and turquoise waters that are perfect for those moments when you want cool off with a quick dip. 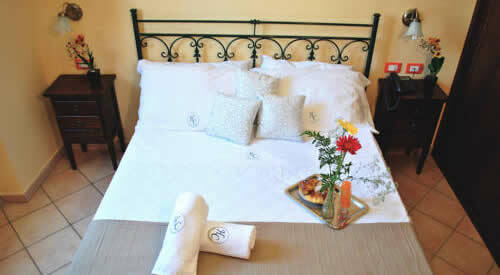 Mondello also has some very fine places to stay and getting the right deals is easy on the best accomodation. While Sicily is an island, it also provides a great base for exploring more of Italy. Sicily to Italy ferries sail daily with great deals available. 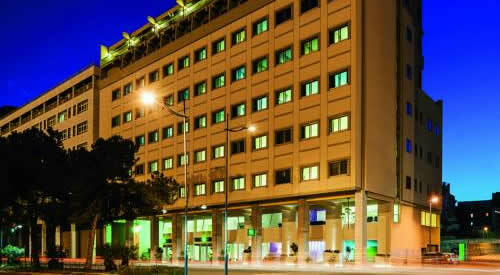 Passengers depart from or arrive at Falcone–Borsellino Airport (Palermo Airport). The airport is located just over 20mi or 35km away from the centre of the city, and well served by various European airlines. ATMs are easy to find and foreign exchange bureaus are situated near the docks.